Match ends, RB Leipzig 3, Bayer 04 Leverkusen 0. Second Half ends, RB Leipzig 3, Bayer 04 Leverkusen 0. Offside, Bayer 04 Leverkusen. Kai Havertz tries a through ball, but Lucas Alario is caught offside. Substitution, RB Leipzig. Bruma replaces Kevin Kampl. Substitution, RB Leipzig. Jean-Kévin Augustin replaces Marcel Sabitzer. Attempt saved. Kevin Kampl (RB Leipzig) right footed shot from the right side of the box is saved in the bottom right corner. Assisted by Stefan Ilsanker. Goal! RB Leipzig 3, Bayer 04 Leverkusen 0. Yussuf Poulsen (RB Leipzig) right footed shot from the centre of the box to the bottom right corner. Assisted by Lukas Klostermann. Substitution, RB Leipzig. Konrad Laimer replaces Timo Werner. Attempt saved. Julian Brandt (Bayer 04 Leverkusen) right footed shot from outside the box is saved in the bottom right corner. Assisted by Leon Bailey. Offside, Bayer 04 Leverkusen. Dominik Kohr tries a through ball, but Wendell is caught offside. Attempt missed. Lucas Alario (Bayer 04 Leverkusen) header from the centre of the box is close, but misses to the left. Assisted by Dominik Kohr with a cross. Attempt missed. Kevin Volland (Bayer 04 Leverkusen) left footed shot from outside the box is too high following a corner. Corner, Bayer 04 Leverkusen. Conceded by Péter Gulácsi. Attempt saved. Leon Bailey (Bayer 04 Leverkusen) left footed shot from outside the box is saved in the bottom right corner. Attempt saved. Timo Werner (RB Leipzig) right footed shot from the centre of the box is saved in the centre of the goal. Assisted by Yussuf Poulsen with a through ball. Offside, Bayer 04 Leverkusen. Jonathan Tah tries a through ball, but Lucas Alario is caught offside. Substitution, Bayer 04 Leverkusen. Lucas Alario replaces Mitchell Weiser. Goal! 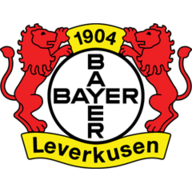 RB Leipzig 2, Bayer 04 Leverkusen 0. Lukas Klostermann (RB Leipzig) right footed shot from the centre of the box to the bottom left corner. Assisted by Marcel Sabitzer. Substitution, Bayer 04 Leverkusen. Dominik Kohr replaces Charles Aránguiz. Corner, Bayer 04 Leverkusen. Conceded by Stefan Ilsanker. Attempt missed. Ibrahima Konaté (RB Leipzig) header from the centre of the box misses to the right. Assisted by Marcel Halstenberg with a cross following a set piece situation. Corner, RB Leipzig. Conceded by Sven Bender. Attempt blocked. Yussuf Poulsen (RB Leipzig) right footed shot from the right side of the box is blocked. Assisted by Kevin Kampl. Delay in match (Bayer 04 Leverkusen). Offside, Bayer 04 Leverkusen. Lars Bender tries a through ball, but Kevin Volland is caught offside. Offside, RB Leipzig. Kevin Kampl tries a through ball, but Timo Werner is caught offside. Offside, Bayer 04 Leverkusen. Charles Aránguiz tries a through ball, but Kevin Volland is caught offside. Second Half begins RB Leipzig 1, Bayer 04 Leverkusen 0. Substitution, Bayer 04 Leverkusen. Leon Bailey replaces Tin Jedvaj. First Half ends, RB Leipzig 1, Bayer 04 Leverkusen 0. Kevin Volland (Bayer 04 Leverkusen) is shown the yellow card for a bad foul. Attempt blocked. Marcel Halstenberg (RB Leipzig) left footed shot from outside the box is blocked. Assisted by Kevin Kampl. Attempt missed. Kai Havertz (Bayer 04 Leverkusen) left footed shot from the left side of the box is just a bit too high. Assisted by Charles Aránguiz. Offside, Bayer 04 Leverkusen. Sven Bender tries a through ball, but Kai Havertz is caught offside. Attempt missed. Kevin Kampl (RB Leipzig) left footed shot from the left side of the six yard box is close, but misses to the left. Assisted by Timo Werner. 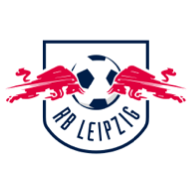 Delay in match (RB Leipzig). Video Review. Goal! RB Leipzig 1, Bayer 04 Leverkusen 0. Yussuf Poulsen (RB Leipzig) right footed shot from the centre of the box to the high centre of the goal. Assisted by Diego Demme with a through ball. Offside, Bayer 04 Leverkusen. Tin Jedvaj tries a through ball, but Mitchell Weiser is caught offside. Attempt missed. Sven Bender (Bayer 04 Leverkusen) header from the centre of the box is close, but misses to the left. Assisted by Julian Brandt following a set piece situation. Attempt missed. Marcel Sabitzer (RB Leipzig) right footed shot from outside the box is too high. Assisted by Diego Demme. Attempt blocked. Timo Werner (RB Leipzig) header from the left side of the six yard box is blocked. Assisted by Marcel Halstenberg with a cross. Corner, RB Leipzig. Conceded by Jonathan Tah. Dangerous play by Marcel Sabitzer (RB Leipzig). Attempt saved. Ibrahima Konaté (RB Leipzig) header from the left side of the box is saved in the bottom right corner. Assisted by Marcel Halstenberg with a cross. Corner, RB Leipzig. Conceded by Charles Aránguiz. Attempt saved. Timo Werner (RB Leipzig) right footed shot from the left side of the box is saved in the top centre of the goal. Assisted by Marcel Halstenberg. Attempt missed. Yussuf Poulsen (RB Leipzig) header from the centre of the box is too high. Assisted by Marcel Halstenberg with a cross following a corner.